Short and sweet will be the M.O. for this week’s posting . . . though given its subject, perhaps short and sour would be a more apt description. You see I’ve got a cold — not so bad that I’m stuck at home in bed, but bad enough that I can’t seem to string a coherent sentence together. I’ve arrived at this conclusion somewhat reluctantly, after staring at my computer for the past hour, writing, and then erasing, one false start after another. 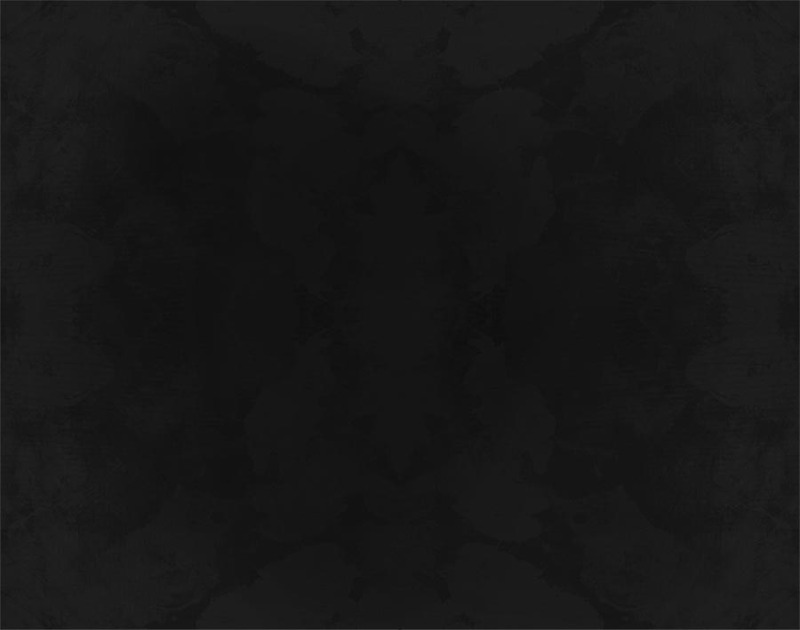 So as much as I would like to compose something amusing for you here, I have to acknowledge that the best thing for all would probably be to get right down to business. 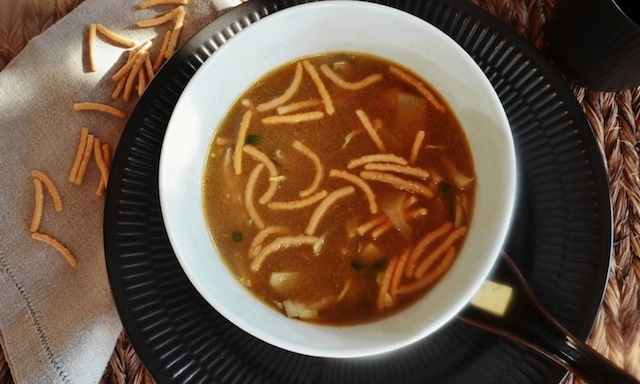 This week that business is hot and sour soup, which is fitting, both because the Chinese New Year begins on Monday (hello Year of the Dragon! ), and because there are those who claim it rivals chicken soup (a.k.a. “Jewish penicillin”) in its ability to ward off a cold. Personally, I’ve never heard anyone refer to this particular dish as “Chinese penicillin,” but then maybe I’m traveling in the wrong circles. In any case, because of its winning combination of peppery heat and vinegary sourness, it most definitely has the ability to warm you up, cold or no. It’s also loaded with things that are a pleasure to eat, like tofu, and slivers of pork, and bamboo shoots, and mushrooms. All of which probably explains why it’s a favorite at most Chinese restaurants in the U.S.
It’s always been a favorite of mine. But lately it’s also been a source of some frustration, since it so rarely lives up to my memory of what the soup tastes like at its best. That’s true of most Chinese food I eat these days, which increasingly leaves something to be desired (a symptom of cost-cutting, perhaps, or simply the fact that I don’t have a good Chinese restaurant in my neighborhood). Still, despite the fact that I consistently find the soup either too watery (it should have an almost creamy thickness to it), or lacking in its all-important vinegary kick, I keep ordering it — there’s always the hope that this time will be different. And I don’t give up easily. So spotting the attached recipe from America’s Test Kitchen was, well, exciting. Seriously, I probably did a little dance when I found it. Because not only had ATK presented me with a path to hot and sour satisfaction, they’d also done so in a way that was eminently do-able. And by do-able, I mean with no running around the city in search of hard to find ingredients that I’d have no other occasion to use (so no pig’s foot tendon, which in traditional recipes is apparently used to give the soup its requisite thick consistency). Everything here can be found at your local supermarket, and if it can’t be, ATK offers a feasible alternative. Case in point: cornstarch, which you probably already have in your cupboard somewhere (I found mine way in the back), and which here replaces that aforementioned pig part as a thickening agent, but that’s also used in the marinade for the pork (to keep it tender when cooked), as well as in the egg mixture that’s drizzled on top of the soup at the very end — an addition that imbues it with a light, cohesive quality. 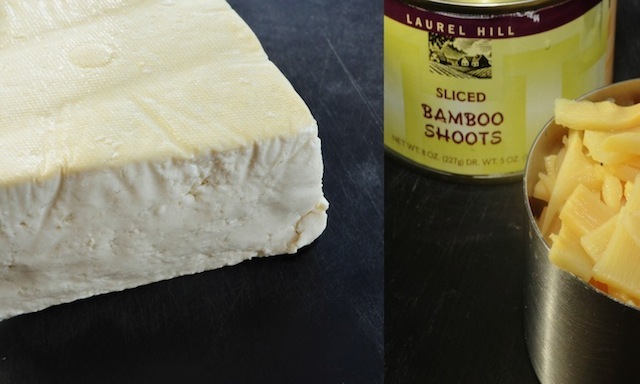 Wood ear mushrooms are likewise substituted with fresh shitakes, while lily buds are swapped out for canned bamboo shoots. As with any recipe, before actually starting to cook there are several preparatory steps you need to take — though here they feel somewhat more urgent as things move pretty quickly once you fire up the stovetop. The first involves the tofu, which ATK suggests draining of excess water prior to cubing. To do this, simply place it in a pie dish (to catch the runoff), then cover with a dinner plate, and weigh the whole thing down with two heavy cans. According to the recipe, after about 15 minutes the tofu should release a ½ cup or so of liquid — though it’s an amount mine hasn’t come close to producing any of the times I’ve tried the recipe (I’ve ended up with something more like two teaspoons). Okay, so maybe I started out with exceptionally dry tofu, or perhaps my dinner plates are too light. Either way, it’s a step worth taking, as you don’t want to water down all those amazing flavors. The other key prep step involves the pork, which ATK suggests placing in the freezer for about 15 minutes to facilitate slicing (it does). As for the slicing itself, the recipe instructs cutting the meat into “1 inch by 1/8-inch matchsticks” — a direction I simply could not get my head around. Assuming you are similarly challenged, try approaching it this way: cut the length of the chop into thirds, then sliver the meat cross-wise into thin strips. This method worked just fine for me, and while I wouldn’t call the resulting slices “matchsticks,” the size and shape were perfectly in line with what the ATK video shows. Lastly, once sliced, the pork is placed in a marinade (comprising soy sauce, sesame oil, and the aforementioned cornstarch) for anywhere between 10 and 30 minutes. With those critical steps complete it’s time to bring a quantity of chicken broth to boil in a large saucepan, at which point the slivered bamboo shoots and sliced mushroom caps can be introduced, as well. Once these are tender (about five minutes) the drained and diced tofu can be added, as can the pork, along with any of the marinade that it hasn’t already soaked up (very little, based on my experience). 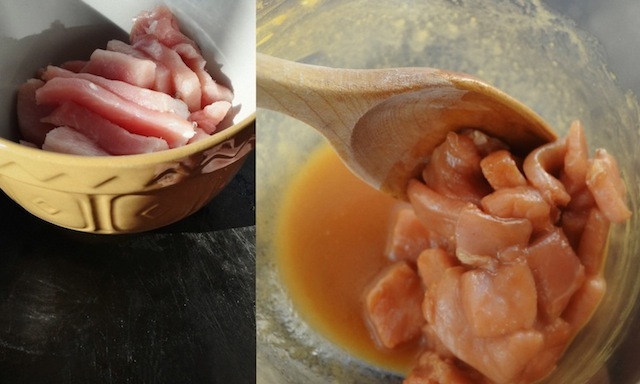 After a few minutes in the hot chicken broth the pork should have lost its pink color, which tells you that it’s time to add what ATK calls a “cornstarch slurry,” but that to most of us is simply a thickening agent made up of three tablespoons cornstarch mixed with three tablespoons water. Before adding this to the broth, however, be certain that it’s well mixed, and that once introduced to the broth it doesn’t clump — I failed to do this the first time I tried the recipe and ended up with a gelatinous lump at the bottom of my saucepan. If all goes as planned, though, after another minute or so the soup should thicken and turn translucent, a development that signals it’s time to add the key flavoring components: chili oil, white pepper, some soy sauce, and the all-important vinegar (black Chinese vinegar if you can find it, or equal parts red wine and balsamic vinegars). 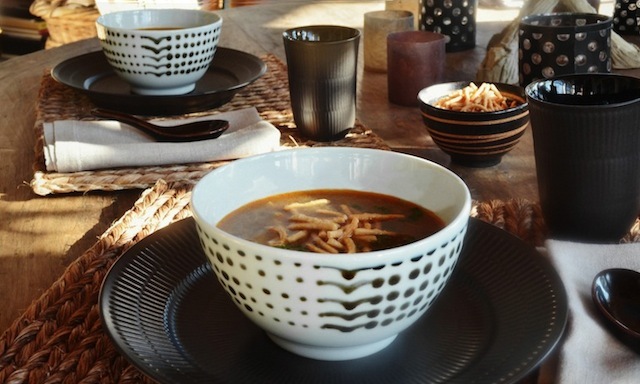 Now things start to get interesting, with the soup’s signature sharp/spicy fragrance announcing that it’s nearly time to eat. After a quick stir, turn off the heat, and without disturbing the contents of the saucepan, slowly drizzle thin loops of the egg and cornstarch mixture across its surface. Let this sit about sixty seconds, return the soup to a boil, give it a final stir, and serve — with some chopped scallions, and (ideally) a scattering of Chinese noodles, the perfect foil to the various other ingredients and textures populating your bowl. Yes, there are a number of steps involved here. But they’re less time-consuming than they sound, and the end result is infinitely more satisfying than anything you’re likely to be served at your local Chinese restaurant — fresher, brighter, and way more complex. It’s reason enough to welcome cold weather. —Place tofu in pie plate and set heavy plate on top. Weight with 2 heavy cans; let stand at least 15 minutes (tofu should release about ½ cup liquid). Whisk 1 tbs soy sauce, sesame oil, and 1 tsp cornstarch in medium bowl; toss pork with marinade and set aside for at least 10 minutes (but no more than 30 minutes). —Combine 3 tbs cornstarch with 3 tbs water in small bowl and mix thoroughly; set aside, leaving spoon in bowl. Mix remaining ½ tsp cornstarch with remaining 1 tsp water in small bowl; add egg and beat with fork until combined. Set aside. —Bring broth to a boil in large saucepan set over medium-high heat. 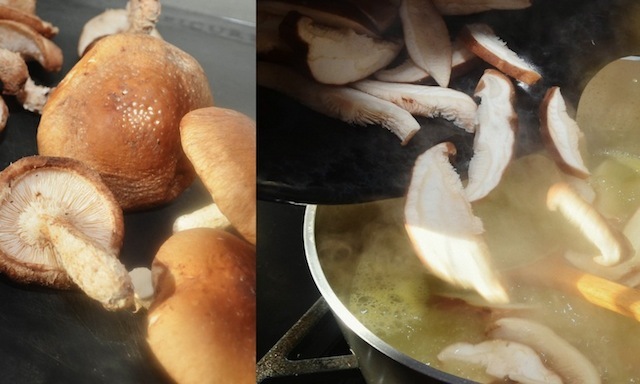 Reduce heat to medium-low; add bamboo shoots and mushrooms and simmer until mushrooms are just tender, about 5 minutes. While broth simmers, dice tofu into ½” cubes. Add tofu and pork, including marinade, to soup, stirring to separate any pieces of pork that stick together. Continue to simmer until pork is no longer pink, about 2 minutes. —Stir cornstarch mixture to recombine. Add to soup and increase heat to medium-high; cook, stirring occasionally, until soup thickens and turns translucent, about 1 minute. Stir in vinegar, chili oil, pepper, and remaining 3 tbs soy sauce; turn off heat. 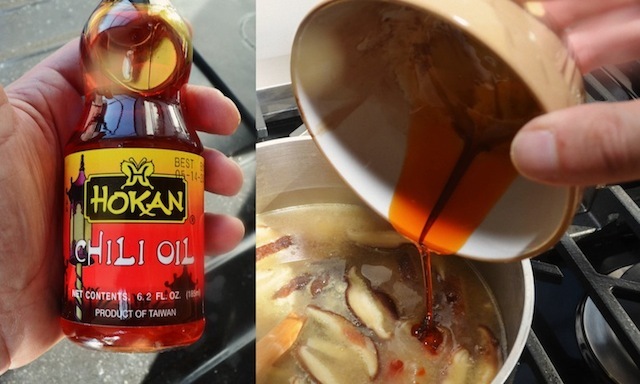 NOTE: For a less spicy soup, omit the chili oil altogether, or decrease it to 1 tsp. 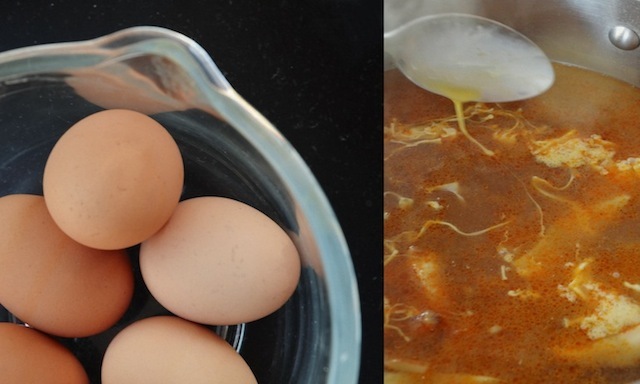 —Without stirring soup, use soupspoon to slowly drizzle very thin streams of egg mixture into pot in circular motion. Let soup sit 1 minute, then return saucepan to medium-high heat. Bring soup to gentle boil, then immediately remove from heat. Gently stir soup once to evenly distribute egg; ladle into bowls and top with scallions. —Serves 6 to 8 as an appetizer. This sounds like the perfect "cold" weather remedy! I once tried to make a hot and sour soup once but it just didn't work out right - thanks for sorting this soup out! Amazing! This soup is making my mouth water as I speak.